When the Government launched the new Foreign Trade Policy in August 2004, it set out with the ambitious objective of doubling India's percentage share of global merchandize trade within five years. Merchandize trade in the very first year of the policy period grew at the rate of 26%. This year's export figures are unprecedented. I am delighted to share with you that merchandize exports have crossed the magic figure' of 100 billion dollars. In fact, they have touched the auspicious figure' of 101 billion dollars. The annual growth rate is 25%. Our imports have grown 32%, and stand at 140 billion dollars but 43 billion is our oil bill. Thus, our non-oil imports are 97 billion dollars, a full 4 billion lower than our exports. On the non-oil front, therefore, we have a positive balance of trade. Exports from many sectors have surpassed our expectations. Project goods exports grew at the rate of 173%. Exports of non-ferrous metals, guar gum meal, computer software in physical form, rice, pulses, dairy products, all recorded a growth surpassing 50%. Commodities like man-made staple fibres, cosmetics and toiletries, iron-ore, coffee, processed food and transport equipment grew at the rate above the average, i.e. more than 25% during this period. India is steadily increasing its share in important markets. Growth in exports to UK has been 30%, to Singapore (with which we implemented the CECA) 54%. India's exports to South Africa grew at 44% while for China the growth rate is 35%. We shall be releasing detailed statistics on all this in the form of a Ready Reckoner next month, after exact figures come in. The other chief objective of the Foreign Trade Policy was providing a thrust to employment generation, particularly in semi-urban and rural areas. We are therefore introducing two new schemes to nurture this. 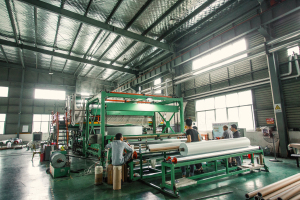 We realized that certain industrial products can generate large employment per unit of investment compared to other products, and promoting their export would in turn give a thrust to their manufacture. This realization led to the formulation of the Focus Product Scheme' which aims to promote such exports. The Scheme allows duty credit facility at 2.5% of the FOB value of exports on fifty percent of the export turnover of notified products, such as value added fish and leather products, stationery items, fireworks, sports goods, and handloom & handicraft items. It is also necessary to penetrate markets, especially to which our exports are comparatively low. Some of our competitors are aggressively occupying space' in Latin America, in Africa and other destinations which Indian exporters have unfortunately been neglecting, perhaps due to high freight costs & undeveloped networks. But these are the markets of the future, and it is of strategic necessity that we enlarge our market share here. For this we have a Focus Market Scheme' which allows duty credit facility at 2.5% of the FOB value of exports of all products to the notified countries. The scrip and the items imported against it for both these schemes would be freely transferable. These two Schemes would replace the Target Plus Scheme. To take the benefits of foreign trade further to rural areas, the Vishesh Krishi Upaj Yojana is being expanded to include village industries based products for export benefits, and it is therefore renamed as Vishesh Krishi Upaj aur Gram Udyog Yojana a rather long name, but one which adequately reflects its intent and coverage. While Services account for 52% of our GDP, our total services trade exports & imports totals more than 100 billion dollars. Expansion of the Services sector is vital for providing jobs to urban educated youth. In the WTO too we are actively engaged in the Services negotiations. A number of features have been added in the Served from India Scheme to encourage service exports. The Scheme ill now allow transfer of both the scrip and the imported input to the Group Service Company, whereas earlier transfer of imported material only was allowed. Because of a rich tradition of craftsmanship, enterprise and availability of skilled, low cost manpower India has the potential to become an international hub for Gems and Jewellery. We have already introduced some measures in the Budget. The diamond trade, which was concentrated in Antwerp, is moving out to Dubai, to Tel Aviv. I want Mumbai be right up there, and not lose out to its fellow Asian cities. This Supplement now introduces a number of measures for facilitating export of value added products catering to changing needs of the market and facilitating easier product movement across the borders and allowing import of precious metal scrap for refining. (a) We have large unutilized melting, refining and jewellery-making production capacity. To enable such capacities to be used in a productive manner, import of precious metal scrap and used jewellery will now be allowed for melting, refining and re-export of jewellery. However, such import will not be allowed through hand baggage. (b) Gems & Jewellery exporters will now be allowed to re-import the rejected precious metal jewellery subject to refund of duty exemption benefits on the inputs only and not the duty on jewellery as was being done earlier. (c) Many a times exporters faced the dilemma of unsold jewellery in the foreign markets because of changing designs and other such factors. To overcome this problem, Gems & Jewellery exporters will now, be allowed to export jewellery on consignment basis. (d) Treatment of cut and polished precious and semi-precious stones enhance the quality and afford higher value in the international market. For this purpose, Gems & Jewellery exporters will now be allowed to export such items for treatment and subsequent re-import, within a period of 120 days. (e) Increase of gold and silver prices in the international market over the past few years has made the present value addition norms on export of gold & silver jewellery unrealistic. The value addition norm for such items is being reduced from 7% to 4.5%. Such measures will help Indian Gems and Jewellery to sparkle on the world stage. India is on the move, metaphorically as well as literally. We not only have the fastest growing automobile market in the world, but India is fast emerging as an important centre for sourcing auto-components. The FTP already extends a number of facilities for the sector. We shall now allow import of new vehicles by auto component manufacturers for R & D purposes without homologation. This is necessary to give our R&D labs easier access to the latest technologies current in the auto component industry. Supplies of stores (food, beverages and other supplies) and refueling of long distance flights has emerged as a big business opportunity. Currently, most airlines replenish supplies or refuel at Thailand, Malaysia or Singapore. Since these supplies were not treated as exports in India and the suppliers could not obtain the duty neutralisation benefits available to other export products the store supplies from India were not competitive enough. We have decided to treat such supplies on an equal footing with other exports, qualifying for benefits under various Export Promotion Schemes. This will hopefully enable India to offer competitive fuel prices and will attract mid route stops of the international flights. Having done something for the land' and the air', we felt we must do something for the sea' too! We had already brought in some benefits for shrimp and tuna fishing through the budget. Now the list of specialized inputs used in the marine sector has been expanded to include additional items of chemicals and other additives within the present duty free entitlement of 1%. Export production requires use of many inputs in small quantities. Even though such inputs are allowed for import without payment of customs duty under Advance Licensing Scheme, exporters generally do not import them because of lack of economies of scale and are forced to source them locally at a higher price. The existing Duty Exemption Schemes have been of little help in such cases because of design limitations. To address the issue, the salient features of the Advance Licensing scheme (which allows imports before exports) and Duty Free Replenishment Certificate (which allows transferability of import entitlements) have been clubbed to evolve a new scheme named Duty Free Import Authorisation Scheme. The new scheme offers the facility to import the required inputs before the exports. It allows transferability of scrip once the export obligation is complete. Imports made under this authorisation will be exempt from payment of basic custom duty, additional customs duty, education cess, anti-dumping duty and safeguard duty, if any. The scheme will come into effect from 1st May, 2006. The incidence of un-rebated Service Tax and Fringe Benefit Tax on exports will be factored in the various duty neutralisation and remission schemes. We have introduced certain flexibilities in the conditions relating to maintenance of average export performance under the EPCG Scheme, and also in the extension of export obligation period by 2 years, based on certain conditions. EOUs account for a substantial portion of our exports. Just because we have the new SEZ Act in place, it does not mean that our EOUs can be neglected. On the contrary, we will continue to nurture them. In order to facilitate the smooth functioning of the EOU units, Development Commissioners will fix time limits for finalizing the disposal of matters. EOU units in the textile sector are allowed to dispose of the left over fabrics upto 2% of CIF value of imports, on consignment basis. Settling accounts for every consignment is complex and time consuming. It has therefore been decided to allow disposal of left over material on the basis of previous year's imports. For the benefit of the consumer clear guidelines for import of Genetically Modified Material are being laid down. While making such imports, products which have been subjected to Genetic Modification will have to carry a declaration stating the fact. It has been decided that interest for delayed payment of refunds would be made by the Government to ensure accountability and cut delays. Clearance of import or export consignments are held up for want of test reports of samples drawn at the time of import or export. Therefore, to accelerate cargo clearances, it has been decided to allow pre-shipment test certificates from accredited international agencies in lieu of demanding only test reports. We are committed to simplifying procedures relating to international trade and putting in place an exporter friendly regime for obtaining import authorizations and disbursement of export linked incentives. A web based online system of filing import & export applications is functional. Requests for obtaining authorizations relating to Advance Licence, EPCG Licence and DEPB are to be filed on the DGFT website with a digital signature and payment of licence fee through the Electronic Fund Transfer mode. No manual applications and supporting documents are required to be submitted. All EDI applications are processed within one working day. We propose to take more EDI initiatives in the next six months to take the process further.